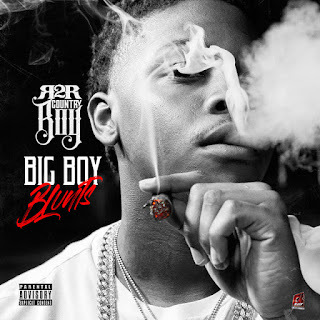 Wrap-Up Magazine: R2R Country Boy (@R2R_CountryBoy) - "Big Boy Blunts"
R2R Country Boy (@R2R_CountryBoy) - "Big Boy Blunts"
Straight from the Atlanta, Georgia (ATL), Block Entertainment has been a worldwide entertainment power house Brand for over 20 years from music label, production to movies, TV, radio and internet! From jump starting the thriving careers of Rick Ross, Young Jeezy, Ciara and others, Block Ent emerges with a new crew collectively known as Rag$ 2 Riche$. The below visual is from the group’s breakout star R2R Country Boy. The record is called Big Boy Blunts and sets the tone for what R2R has to offer.